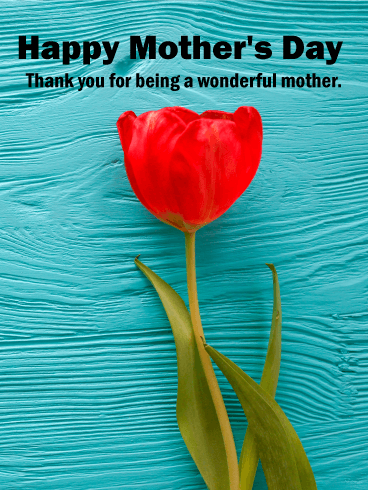 Happy Mother's Day - I feel very lucky to have a mother that is as loving, caring, and thoughtful as you are. 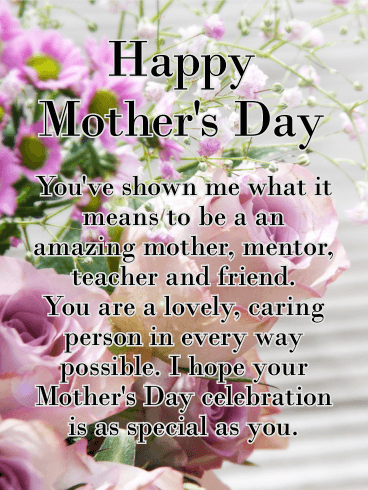 You're so special to me. 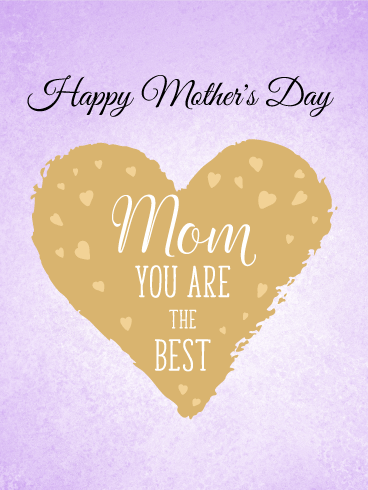 I love you, mom! 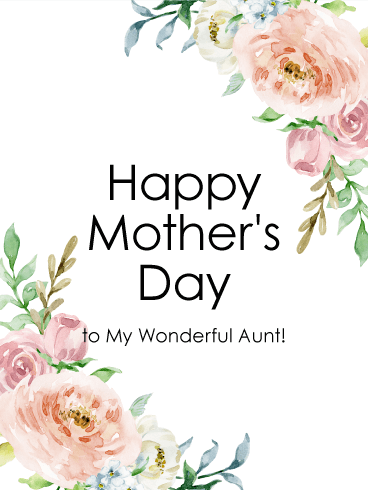 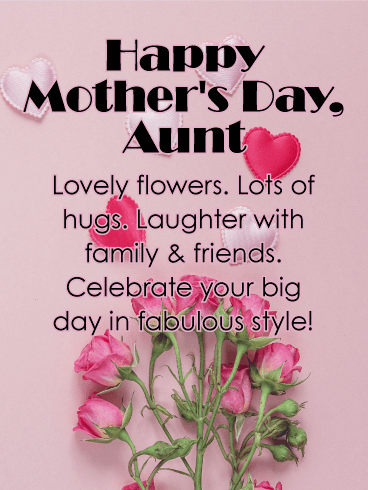 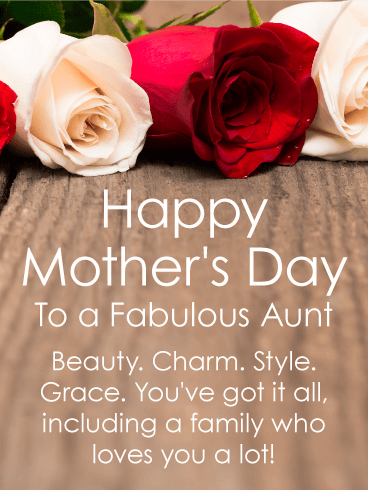 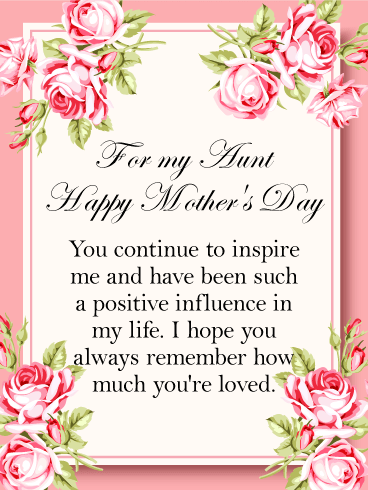 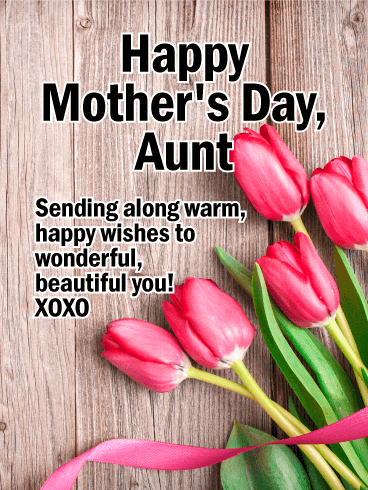 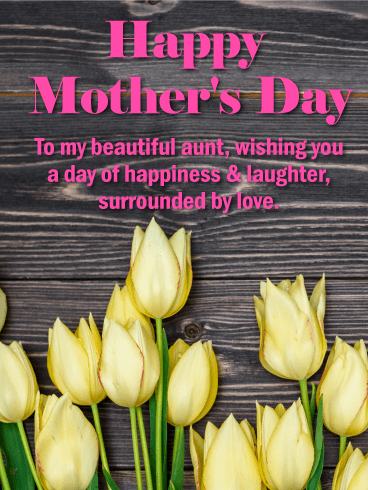 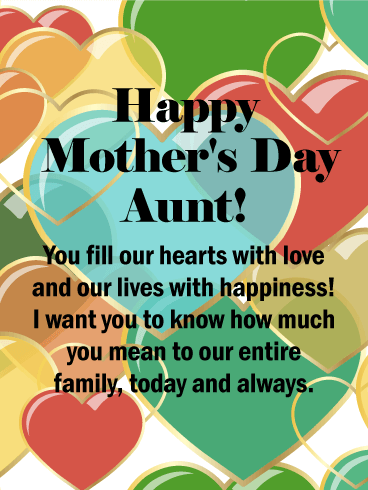 This Mother's Day card has everything to make a loving aunt in your life feel special. 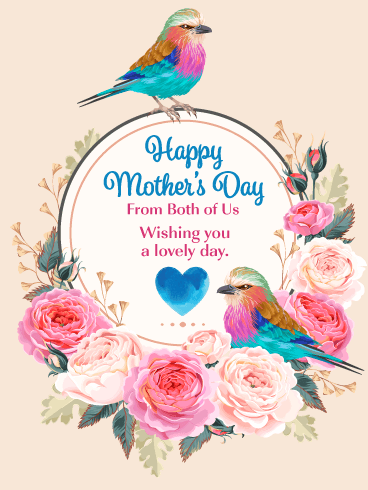 Charming pink tulips are bunched together over a quaint wooden background, while the sweet but simple message in front brings your warm, happy wishes her way for a lovely day!